Iranian director Asghar Farhadi answers questions during a press conference in Cannes, on May 17, 2013. CANNES, France — Iranian Oscar-winner Asghar Farhadi drew enthusiastic applause Friday for one of the most-keenly awaited films at Cannes, with a Paris-set tale about shifting relationships. “The Past” picks up many of the wrenching family themes and the taut drama of the Tehran-based “A Separation”, which saw Farhadi scoop the Academy Award for best foreign-language feature last year. Lead player Berenice Bejo dials down the glamour of her role in the fellow Oscar-winning movie “The Artist” to play Marie, a mother in Paris’ multicultural suburbs who asks estranged husband Ahmad (Ali Mosaffa) to return from Tehran to finalise their divorce. In the meantime, Marie has invited her new boyfriend Samir, played by Tahar Rahim of 2009’s “A Prophet”, to take his young son and move in with her and her two daughters from another past relationship. But Ahmad’s arrival upsets the delicate new balance in the old house, for it becomes clear that his relationship with Marie is anything but ancient history. The reasons he returned to Tehran four years before remain unclear. But Farhadi hints that an inability to practice his profession in France drove him into a depression that he only escaped by leaving Marie. Meanwhile Samir’s own former wife is lying in a coma, suspended between life and death after a suicide attempt. Marie’s teenage daughter and a North African immigrant working illegally at Samir’s dry-cleaning shop become catalysts in explosive events that force each character to reckon with the past. Critics warmly welcomed the picture and took to Twitter to declare it a favourite when jury president Steven Spielberg hands out the awards on May 26. Bejo in particular was singled out for a gripping performance as an ambivalent mother and partner. 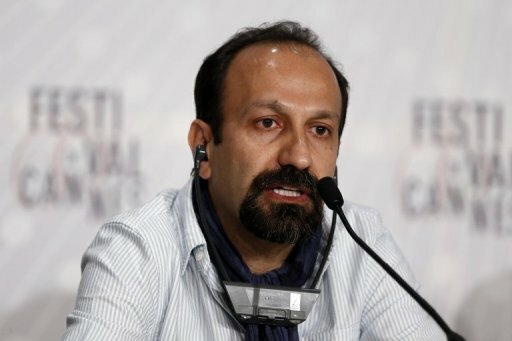 Farhadi said his decision to set his film in France this time was for the sake of the story, not because of any crackdown on artists at home. “I can work for years outside Iran but I do remain a very Iranian director. Of course the set may change but I don’t change,” he told reporters, speaking through an interpreter. He said that while Iran had official censorship, filmmakers in the West faced a kind of “economic censorship” in their struggle to get pictures made. And he noted that all directors faced self-imposed restrictions based on their own experiences. “So when I work in a different context, this shadow cast by (official) restrictions disappears and you feel perhaps more serene,” he said. Farhadi said the agonies of being in love were infinite sources of inspiration for his work. Bejo said the multinational team communicated with interpreters but quickly broke through the language barrier to become a cohesive team. After the global success of “The Artist”, Bejo said she had received offers from Hollywood. But she said the chance to keep working in Paris with “one of the world’s best directors” was more tempting. She said the shifting perceptions in Farhadi’s films, where things are never quite what they seem, had drawn her to the character of Marie. “For an actress it was quite an extraordinary experience — things appear true and then turn out to be completely different,” she said.